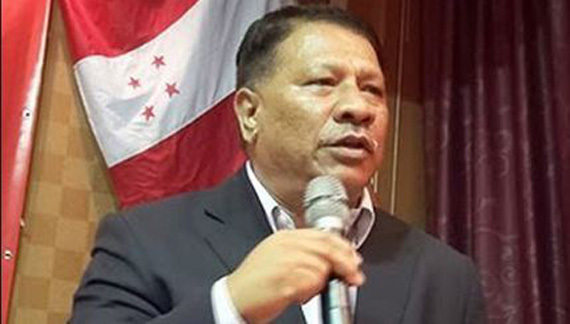 Kathmandu, June 18: Nepali Congress leader, Prakash Man Singh, today asserted that the election is not possible through an election calendar developed without prior discussions. Speaking at a programe held by NC Working Committee of Nagarjun – 3 here, leader Singh assured that the government's unilateral fixation of election date does not mean that election will become possible. "The government has stipulated the election date without consulting the parliament's main opposition, so we do not accept it," Singh confided. He slammed the government of becoming a hurdle to political consensus by spreading the slogan of election just to retain the government. He urged the government to fix the date after holding agreement.